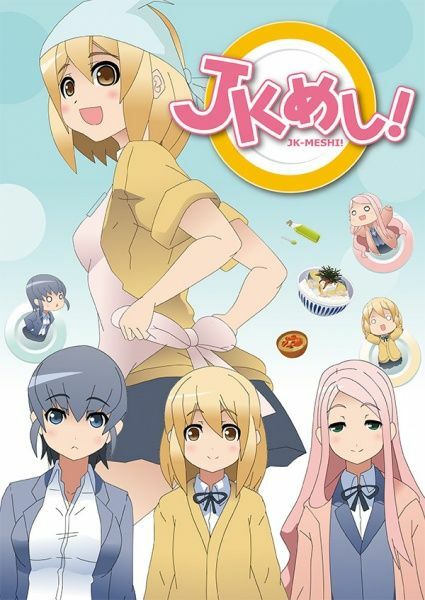 Three high school girls have mastered the art of cooking simple, B-class dishes called JK meshi. The three girls — Reina, Ryouka, and Ruriko — are all classmates in their second year of high school. They often get distracted when studying for tests, and when they do, they cook JK meshi.